Night Eating Syndrome (NES) or late night overeating is usually not a result of hunger and is generally associated with those who are overweight or obese. Midnight munching is often linked to habit, boredom or fatigue, but others who may be struggling from stress, depression or hormonal imbalances are very likely to overeat in the evenings, even when hunger is satisfied at dinner. Habitually eating throughout the evening or waking at night to eat again can wreak havoc on any weight loss or weight maintenance plan. Those with NES tend to eat unhealthy high calorie, nutritionally devoid foods, including salty snacks, ice cream and sugary desserts, that not only lead to weight gain but also to chronic health conditions such as type 2 diabetes, metabolic syndrome or elevated blood pressure. While there is plenty of advice such as simply resolving not to eat after dinner, finding distractions, or keeping junk food out of the house, the underlying reasons for NES may be cause for concern. According to the National Institutes of Mental Health, night eaters are more likely to have an addiction problem and tend to suffer from a distinct form of depression which is more pronounced during the evening. 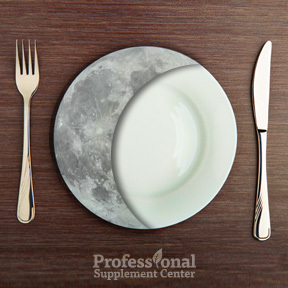 Night eating can also be a result of daytime stress or a response to restricted caloric intake during the day. According to Mark Hyman, M.D., NES often involves a disruption in the production of hormones that regulate sleep, appetite and mood and more specifically the hypothalamic-pituitary-adrenal (HPA) axis. Hormonal imbalance can lead to cravings for excessive amounts of unhealthy foods. An understanding of appetite regulating hormone triggers can aid in balancing these hormones and result in reducing or eliminating food cravings. What are these hormones and how can you help to regulate them? Insulin – After a meal, this all important hormone is released into the bloodstream by the pancreas to aid the cells in absorbing glucose for energy production. Insulin helps to balance blood sugar levels to keep them within normal range. Excess weight can lead to insulin resistance, a precursor to developing type 2 diabetes. Ghrelin – Produced in the stomach, this fast acting hormone regulates appetite and stimulates the brain to let you know when you are hungry. When your stomach is empty, ghrelin levels rise, and after you have eaten, ghrelin levels fall. Leptin – When levels of this hormone rise, your brain gets the signal you have had enough to eat. Along with other hormones, leptin helps to regulate metabolism and energy balance. A person can become leptin resistant when exposed to too much leptin, turning off the message signaling to stop eating and start burning fat. Peptide YY – Released by the small intestine in response to eating, PYY binds with receptors in the brain, resulting in decreased appetite and a feeling of fullness. Cortisol – Known as the stress hormone, cortisol increases when stressed, resulting in increased hunger, insulin release and higher levels of blood sugar. To stop cravings and end night time binging, all of these hormones must be in balance. Studies show that people with NES generally skip breakfast, don’t eat enough during the day and then are driven by hunger to compulsively overeat in the evening. They often wake during the night and are likely to indulge in carb-rich snacks even though they are not at all hungry. This extra snacking often results in an extra 500 calories eaten each day. That’s a lot of unnecessary calories for people trying to manage their weight. If you rarely feel hungry in the morning, you overeat in the evening after your evening meal, you wake during the night and are unable to go back to sleep without eating something and you are often feeling sad, anxious, stressed or depressed, you are a likely candidate for establishing a regular eating pattern and managing moods and stress. Eat during the day and don’t skip meals to save up calories for night time. Most people with NES are not hungry in the morning, but breakfast is particularly important. Have protein and healthy fat at every meal and include lots of veggies. Regular healthy meals will help keep your blood sugar in balance all day. Find a way to relax and reduce your stress. Even simple breathing exercises can help to reset hormones and balance brain chemistry. High levels of cortisol are associated with weight gain, especially in the abdomen. Exercise is one of the best methods for reducing stress and has the added benefit of burning calories to aid weight loss. Make sleep a priority. Sleep loss is directly related to weight gain. With chronic sleep deprivation, cortisol levels and inflammation markers rise as ghrelin production increases, stimulating appetite, and PYY, the hormone that makes you feel satiated, decreases. Supplement to help balance blood sugar and insulin to reduce cravings. According to Dr. Hyman, be sure you have adequate levels of vitamin D, which helps to regulate hormones. Chromium, lipoic acid, omega-3 fats and N-Acetyl Cysteine (NAC) all help to reduce cravings. Add high fiber to your diet in the form of PGX, a glucomannan and seaweed supplement that helps to cut cravings, helps to prevent insulin spikes, increases PYY secretion and helps to balance all the hormones. PGX Daily by Bioclinic Naturals – This high fiber supplement safely supports weight loss, helps ease food cravings and improves insulin sensitivity. Gluten and dairy free. NAC 600 mg by Pure Encapsulations – This amino acid supplement provides powerful antioxidant support, aids heavy metal detoxification, supports immune and respiratory health and may improve insulin and blood sugar levels. Gluten free, Non-GMO vegetarian formula. Lipoic Acid Supreme by Designs for Health – This blend contains high-dose lipoic acid, biotin and taurine in support of blood sugar and insulin balance. Lipoic acid is an essential nutrient for optimizing insulin receptor function. Gluten, soy and dairy free, Non-GMO vegetarian formula. Cinnamon with Chromium Picolinate by Physiologics – This synergistic blend with highly absorbable chromium supports sugar and fat metabolism and helps maintain a healthy metabolism of other dietary nutrients. Gluten, soy and dairy free formula. This entry was posted in Home and tagged Cinnamon with Chromium Picolinate by Physiologics, Lipoic Acid Supreme by Designs for Health, NAC 600 mg by Pure Encapsulations, Night Eating Syndrome, PGX Daily by Bioclinic Naturals. Bookmark the permalink.